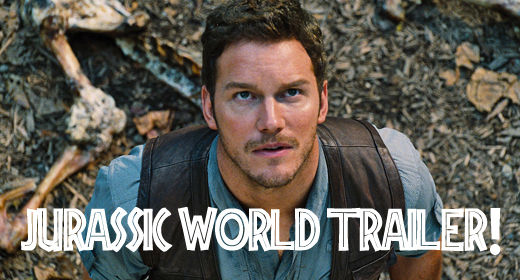 Here’s the full official trailer for Jurassic World! As we mentioned in our post about the reveal of the teaser trailer, we’ve got quite a while until this film debuts this summer, but there are already some things we can learn this full trailer. We do get a sense of where the plot is headed, who characters are in how they relate to the story, and what exactly happens to cause the park to spin into chaos again. But, hands down, it’s beautiful. B-E-A-U-T-I-F-U-L! So, here it is in all it’s glory: the full trailer for Jurassic World! So what do you think? Here our responses on Episode 140 this Friday!